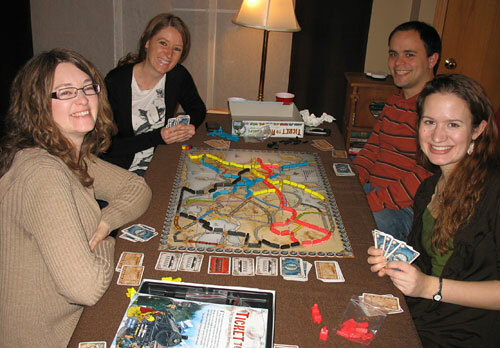 Over the weekend, some friends joined us for an impromptu get-together to play Ticket to Ride. 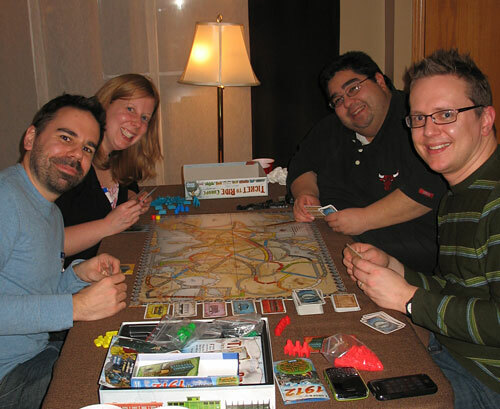 After all, it's January, it's cold, it's full of doldrums… why not play a boardgame which takes you to exotic cities… like Duluth? 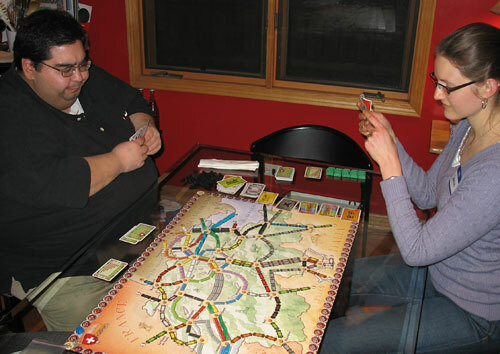 The 11 of us played every one of our TtR games, including the original USA version (with the USA 1910 Expansion), Europe (with the Europa 1912 Expansion featuring Warehouses & Depots), Switzerland, and Nordic Countries. 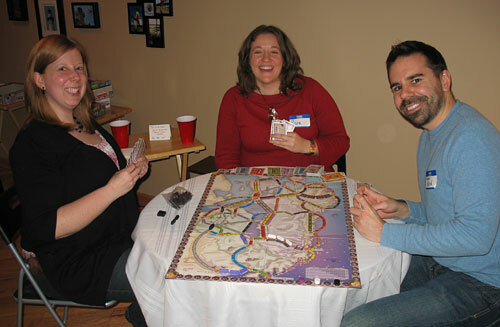 Amy and I play against each other quite a bit, but there's nothing like the communal experience of playing with lot a of folks. The Europa 1912 expansion with Warehouses & Depots got a big workout... and was liked for its ability to give you a bunch of cards quickly! Some of the dynamics and game mechanics just take on completely different feels with you have more than 2 players. Overall, quite a fun time that I think we'll be repeating again in the near future… because then we can play with monsters!